Our Daily Rider series will feature Philadelphia cyclists in their natural habitat doing what they love. Whether riding across town to work or out of town to the hills, our photographers will be out capturing Philadelphia’s Daily Riders. 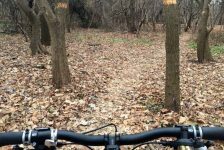 Right now I’m headed out to Wissahickon Park to ride Forbidden drive and some single track. This is my single speed cyclocross bike. I really enjoy the simplicity and versatility of it. It’s great to be able to use the same bike for both riding in the woods and commuting. Some days I combine the two which makes for an awesome commute. 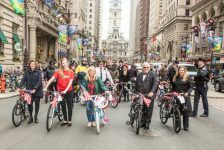 Why do you ride in Philly? Mainly because it is my home. I grew up in Philly and have always ridden my bike everywhere I went since I was able to go further than the corner as a kid. Now that I’m an adult, I love that this city offers everything from mountain bike trails and open roads, to now having a free public skatepark and pump track. Ride Everything!